Get the Real Techniques Sculpting Set for £13.99! I wasn't planning a post today, however when I spotted this bargain I couldn't resist snapping it and sharing it with you! I wanted to post this as soon as possible so you can take advantage of the deal too so this is more of a first impressions. Superdrug currently have the Real Techniques Sculpting Set for £13.99 (that's £7 off) as their Star Buy until 19/05. That means that for just £4 more than the contour brush on its own, you can get 3 brushes! The contour brush is so easy to use for a total beginner like me. It fits nicely into your cheekbones and the size of it stops you getting too much of a dramatic line. I also find the tightly-packed bristles make it effortless to blend your contour in naturally. The setting brush is lovely for applying a powder to set your under eye concealer. I do have a similar one (also labelled a setting brush) from Real Techniques however the bristles on that one feel a little different despite them both being synthetic (like all Real Tecnhiques brushes). The other one also seems a little denser than this and so I think I will switch to applying my under-eye concealer with that one and setting it using this. You can easily have this little brush for contouring your nose or anywhere other than your cheeks as the main contour brush is definitely designed for that but would be a little bulky for anything else. Finally there's a lovely fan brush, which I've been in the market for for ages. This is fantastic for super-subtle application of loose powders across the face or you could even use it to blend out your contour. On first impressions I really like this set and think it would be well worth grabbing full price but even more now it's on offer. 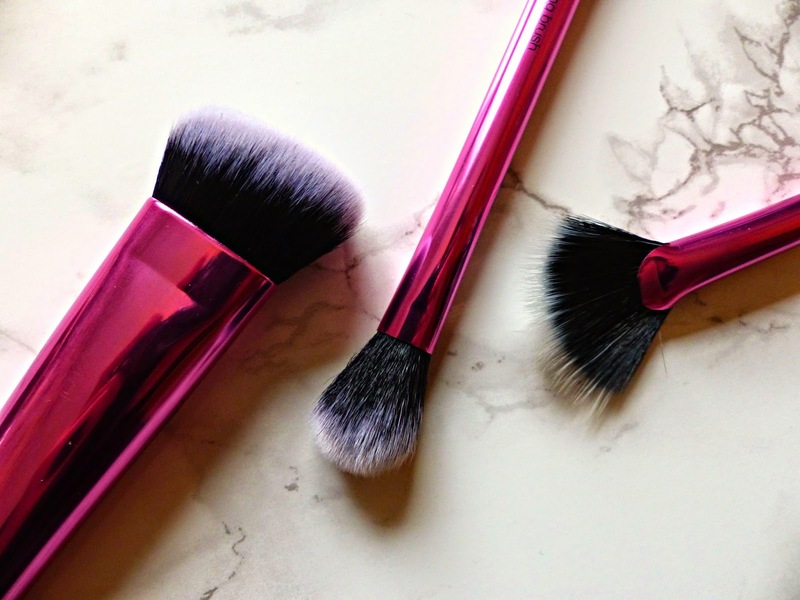 Whilst the contour brush may not work that well for other uses I think the other two are pretty adaptable and so well worth picking up even if you own a lot of these brushes. I also really want to pick up a cream contour product to try with the brush as I think the synthetic, tightly-packed bristles will be perfect for that. I also really like the slightly sleeker design of these brushes and it's great to see Sam and Nic are still expanding on the original range and bringing us amazing brushes at an affordable price. Will you be picking up the Sculpting Set? What are your favourite Real Techniques Brushes? Thanks for sharing! I'll get my set today, it's such a great deal! I'm so tempted to pick this up because the price is just incredible, the sculpting brush sounds so amazing! That offer is definitely tempting - these brushes would fill some holes in my collection nicely! I've been wanting a fan brush for a while too. We love Real Techniques brushes! 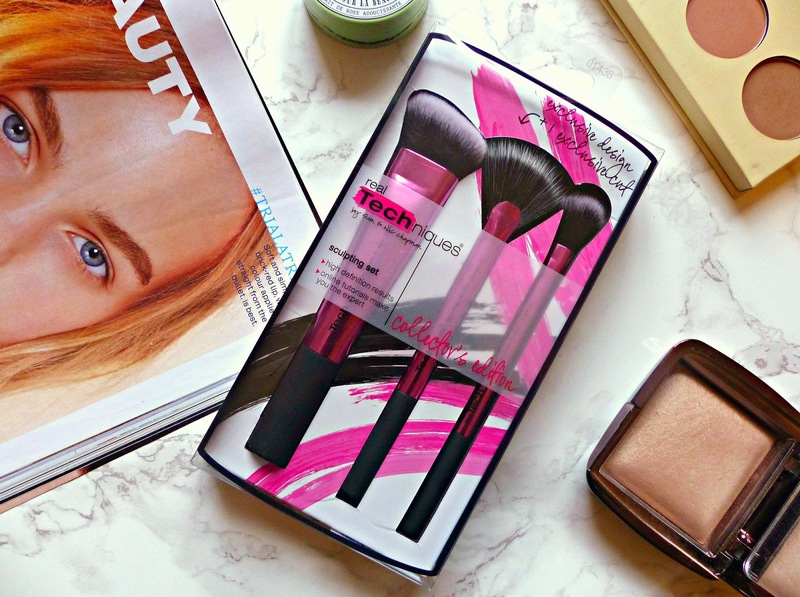 This looks amazing, we love all things related to contouring/highlighting and it's such good value for money! Ooh this is such a bargain! I love Real Techniques brushes so no doubt I end up in superdrug tomorrow now - oops! Wow, that's such a great bargain. I know where I'm heading tomorrow! I hope they still have some left. I love the RT brushes; the powder, blush and stippling brushes are my favourites. These do look really good. I basically only have RT brushes, and a few other ones. I really want a Zoeva set but I think I'll have to settle for something a bit cheaper! Thanks so much for sharing this Jasmine I ordered mine last night :) such a bargain and the universe is obviously on my side as I've wanted these for ages! Okay, so I definitely need to try and pick these up within the next 24hrs! I really need to get my Real Techniques game on! I have yet to try any of the brushes, even though they are now available in Denmark. Shame on me! Do you have any recommendations/favorites amongst the brand?